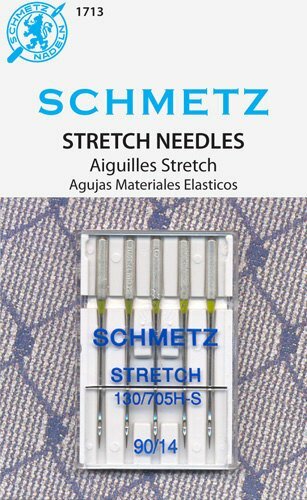 Stretch Needles Size: 90/14 Feature: Medium ball point, special eye and scarf. Fabric Use: Elastic materials and highly elastic knitwear. The medium ball point, specially designed eye and scarf prevent skipped stitches.